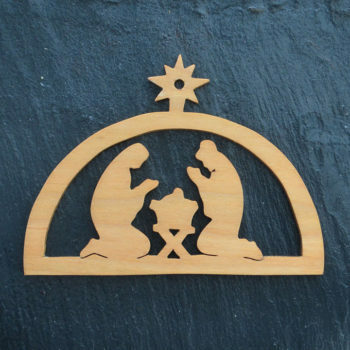 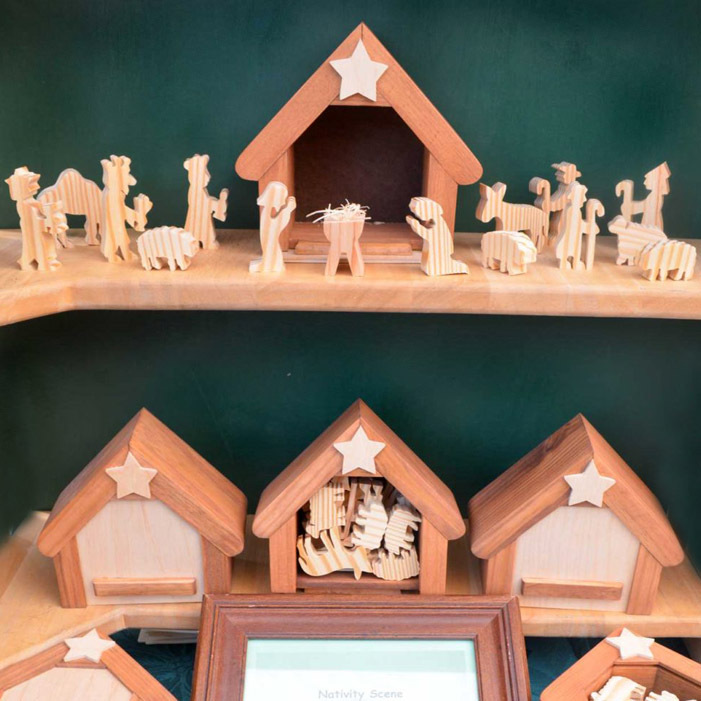 ● Fifteen pine figures fit into the stable, like a puzzle box. 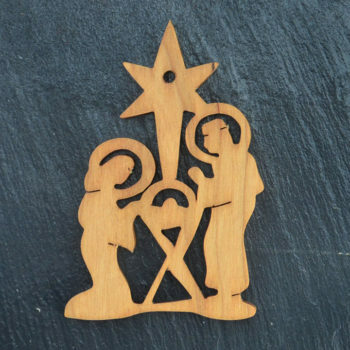 The door slides into the stable to secure the set. 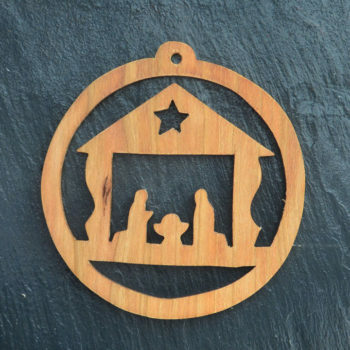 ● Made from pine with a light cherry stain, on the stable, to enhance the beauty of the wood.